USAID has presented the Somaliland Ministry of Commerce with two offices furnished with computer equipment and business registration software during a handover ceremony, as part of the USAID Partnership for Economic Growth program. 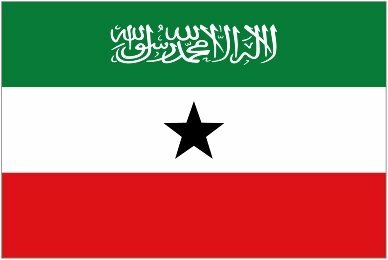 The USAID Partnership for Economic Growth program has handed over to the Somaliland Ministry of Commerce, two furnished offices with computer equipment and business registration software. This project is part of the USAID funded Partnership for Economic Growth implemented by DAI and has been working in cooperation with the Ministry of Commerce. The handover ceremony was held at the Ministry of Commerce in Hargeisa and was attended by the Minister of Commerce Mr. Abdirisak Khaliif Ahmed, Minister of National Planning and Development Dr. Sa'ad Ali Shire, Vice Minister., Ministry of Commerce, Mr. Adan Deria Egal, Director General, Ministry of Commerce, representatives of the USAID Partnership for Economic Growth and many other dignitaries and guests. The ceremony was opened by the Vice Minister of the Ministry of Commerce Mr. Adan Deria Egal who thanked the USAID Partnership for Economic Growth for the capacity development support it has given to the Ministry. The Vice Minister added that the Ministry has got many needs which are multifaceted. He urged that this tangible assistance from the USAID must not stop there and has to be extended further to meet our needs in other areas in order to complete those unfinished tasks. The Minister of Commerce Mr. Abdirisak Khaliif Ahmed who spoke at the ceremony also thanked the USAID Partnership for Economic Growth program for the various types of support it has given to the Ministry. He noted that the USAID Partnership for Economic Growth has done "the most successful work with the Ministry of Commerce". He also noted that the work of the agency in the country will undoubtedly encourage both the business community and the foreign investors to invest in the country. The Minister urged the staff of the Ministry to take care of the furniture and the equipments donated to them by the agency and put them to the best usage for the benefit of the intended beneficiaries and the government. Mr. Suleiman Mohamed, Program Manager, USAID Partnership for Economic Growth program who addressed the invitees gave a brief outline of the activities of the USAID Partnership for Economic Growth in Somaliland. He mentioned that the private sector in Somaliland is the artery sustaining the livelihoods of the society and it is what generates the economic activities in Somaliland. He noted that the public sector is equally an important pillar of the economy and only if these two parts work together, then can economic growth be attained, and the USAID Partnership for Economic Growth program is committed to work with these two parts of the economy". After the two Ministers cut the ribbon for the two offices and inspected the furniture and the equipment, they asked questions to the staff of the Ministry as to how the business registration software will work. The staff demonstrated how the software would work and how information would be transmitted.